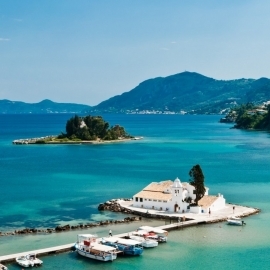 Spilia is a coastal area and one of the entrances to the old town of Corfu, called Kampielo. 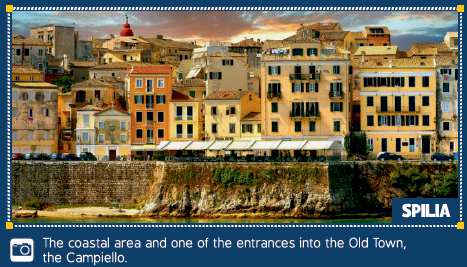 Kampielo is the old town of Corfu as well as a mysterious region that seems to present many medieval features. It is included in the UNESCO World Heritage Site and is essentially an atmospheric labyrinth of narrow, winding streets, steep stairways and secretive little squares. Moreover, the entrance of the New Fortress of Corfu is located in Spilia.